An examination of human persistence in trying to make decorations and pets out of wild cats, and the cats’ persistence in remaining wild. 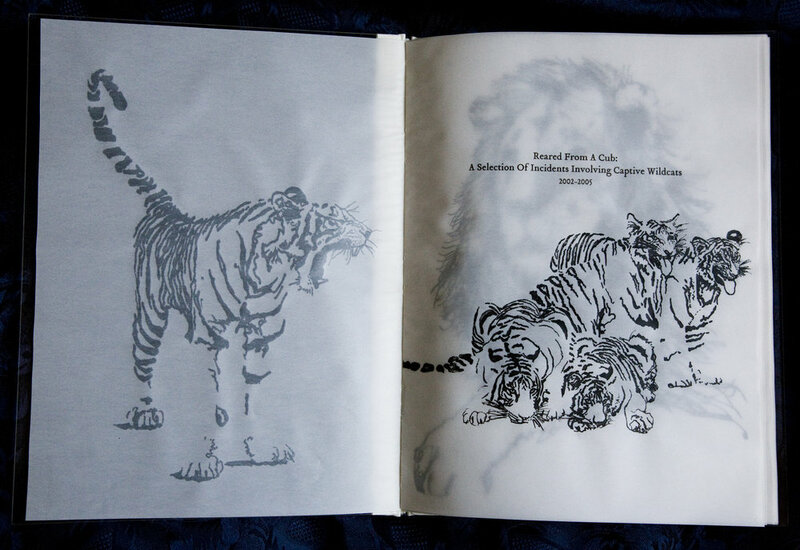 The 9”x12” volume has a clear Plexiglas cover, reminiscent of display habitats in zoos. 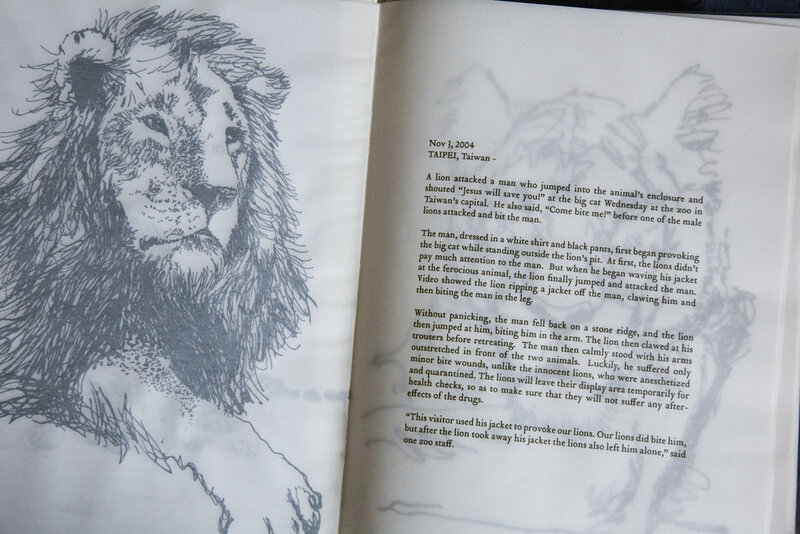 The text, (hundreds of news articles describing attacks by captive wildcats on zookeepers, circus patrons, and pet owners) is printed on semitransparent vellum paper, and appears layered, cage-like, over images of the animals. 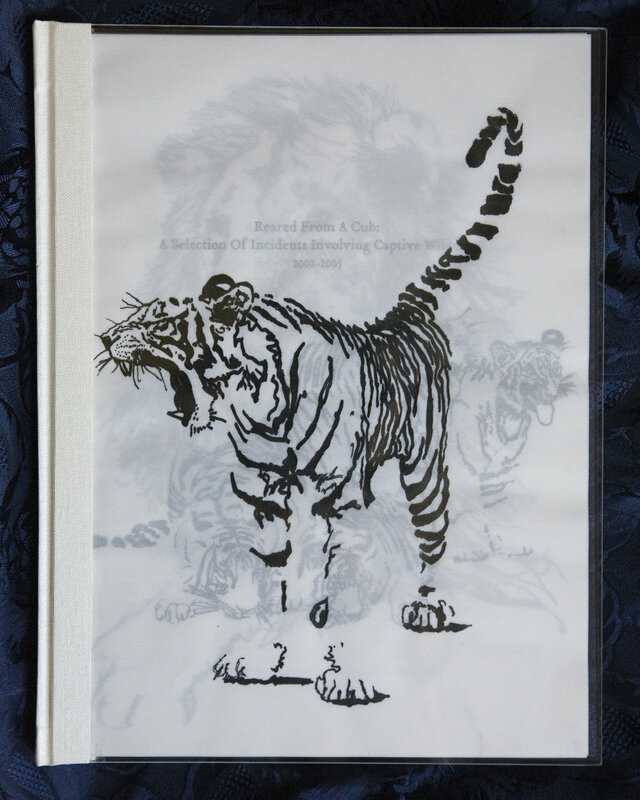 The silk-screened ink drawings feature wild cats in ambiguous settings. 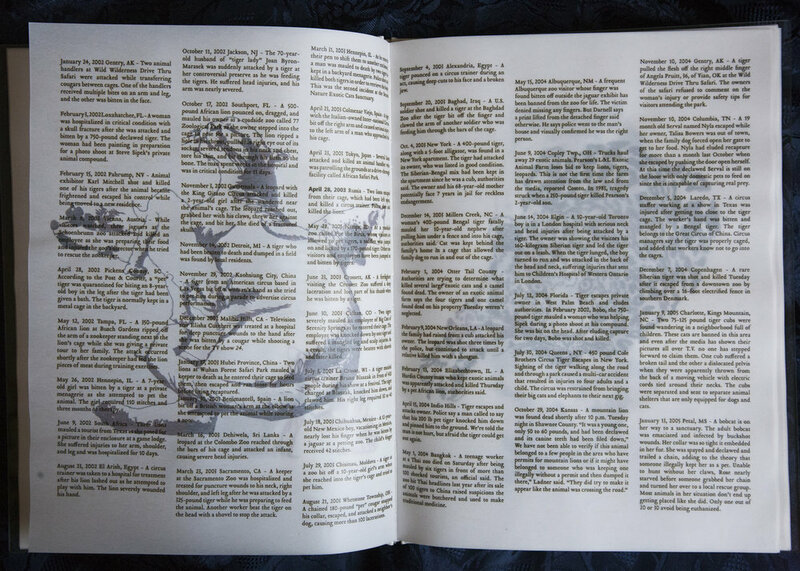 Their illustrative presentation refers to their comfortable place in our decorative visual culture, while currents of scarlet color running through the ink suggest otherwise.